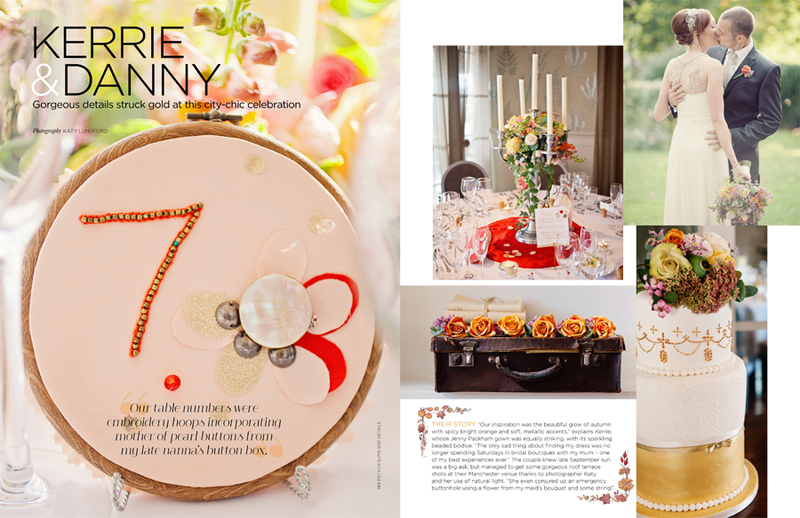 Seeing your work in print is such an amazing feeling, so I was over the moon to have two weddings featured in the You & Your Wedding real weddings special! 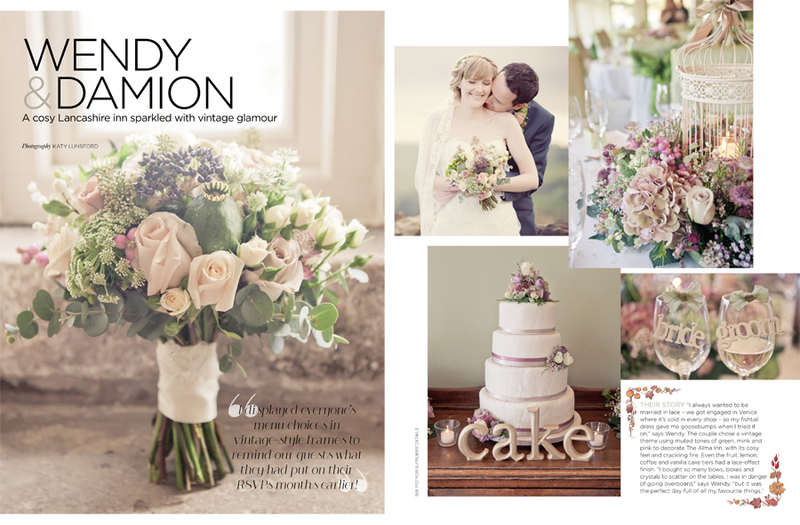 Wendy & Damion had a gorgeously pretty vintage wedding in a cosy inn on top of a hill in Lancashire, with the most amazing flowers courtesy of Flower Design. You can see the whole wedding here. Kerry & Danny had an elegant city-chic celebration on the rooftop terrace at the beautiful Great John Street Hotel in Manchester, with fabulous orange flowers by Laura Coleman Flowers, a stunning cake by Cakes by Beth, and an exquisite Jenny Packham dress. To see the full wedding, pop over here! The Real Weddings special magazine is on sale now and full of gorgeous inspiration for your wedding day – so go grab yourself a copy and prepare to swoon!